The San Antonio Zoo received a welcome surprise on June 18th, when a two-headed Texas cooter turtle hatched from its egg. 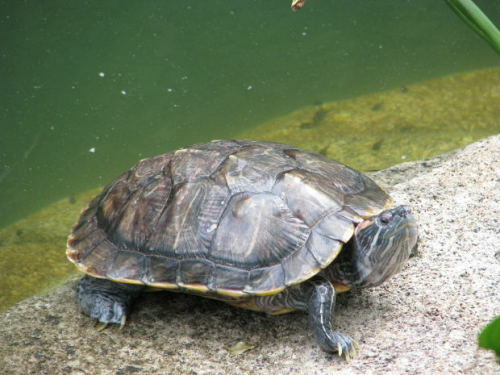 Texas river cooters are commonly found in ponds, rivers and manmade waterways across the great state of Texas. These greenish-brown freshwater reptiles are protected from harvesting in public waters, and their population seems to be growing. 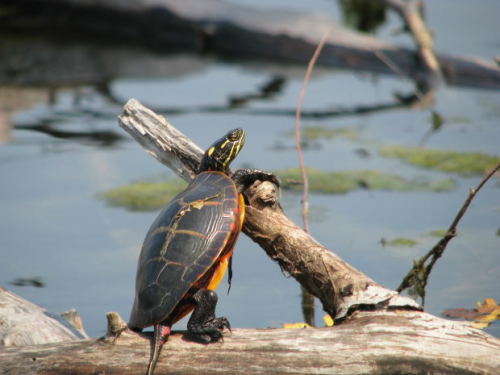 Juvenile turtles eat river insects and small fish, but they develop a vegetarian diet when they mature into adults. Polycephaletic (having more than one head on one body) animals are rare and many don’t live for very long outside of captivity, but there have been numerous examples of two-headed turtles, snakes, cats, pigs, sheep, cows and goats. But those are only the special cases that we’ve discovered! Can you imagine a two-headed gorilla, giraffe or walrus? Now for the moment that you’ve all been waiting for; Click on the video to meet Thelma and Louise for yourself! Have you seen any other two-headed animals before? Share your favorites in the comments below! Kung-Fu Animals Show Off Their Moves! The Animal Video of the Day!! !